Spring is the first new season of the year, so why not start off the New Year with a new Outdoor Banner? Make YOUR signs WORK for YOU! Have you ever thought about how outdoor signage could help your business? Perhaps your outdoor sign hasn’t been updated for some time, has not weathered too well, or you are perhaps just looking for a change? Plex understands the need to provide the most perfect style of outdoor banner signage that can cater for any sized business or budget. Remember that outdoor banners influence brand awareness and purchasing decisions – so the right sign to catch the attention of your key audience is massively important. To help you discover which outdoor banner is better suited to your business needs and budget let’s look closer at the range available to you. 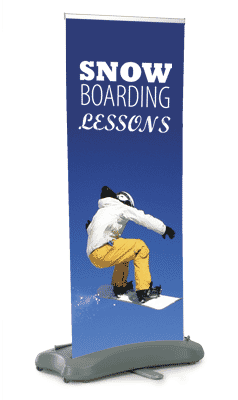 Or perhaps you are looking for an A-Banner Outdoor signage solution? Why not look at the following fantastic A-Banners? With all the advantages that a new outdoor banner sign could bring to your business, could you really afford not to update your outdoor banner? 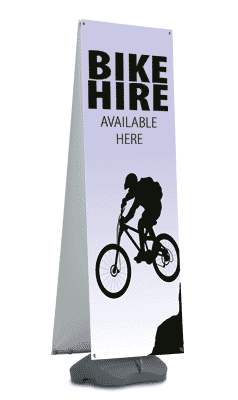 Remember all of our outdoor banners are stock items available for next day delivery if ordered before 4pm. If you would like more information on any of the products, please contact one of our experienced sales team members where we will be happy to help.